Accommodation in Leyburn, North Yorkshire. 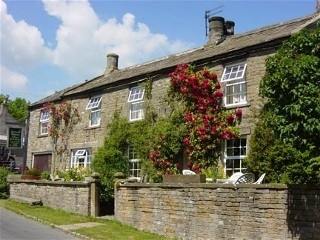 Abbots Thorn - A Country B&B in the Yorkshire Dales National Park, Carlton in Coverdale, the birthplace of "La Grand Depart". We are centrally located to the stunning scenery of the Dales, castles, churches, waterfalls but most spectacularly, the scenery. We offer 3 bedrooms, two en-suite (two doubles and a twin/super king) a lovely guest lounge with oak beams and wood burning stove and an Edwardian dining room. All diets are catered for, please give us advance notice of special dietary requirements. A varied menu is offered using locally sourced produce whenever possible. We are have a 4 star, silver award from VisitBritain. A very warm welcome awaits.